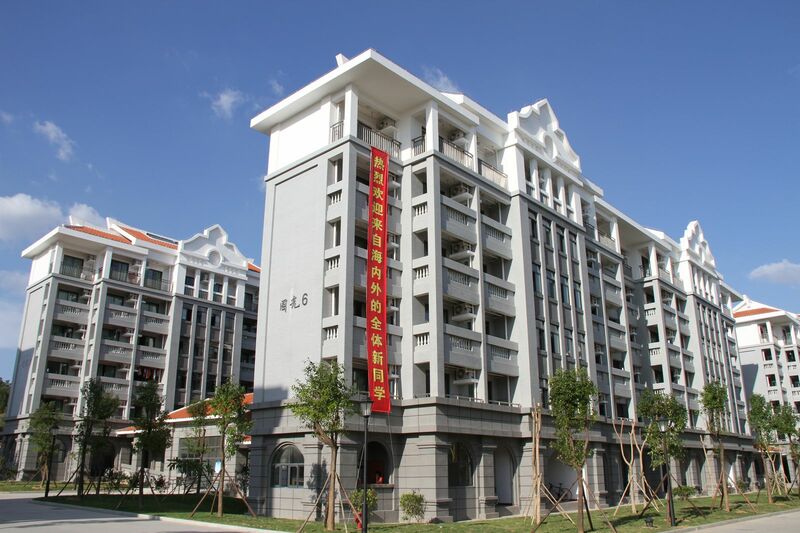 Overseas Education College moved from Siming campus to Xiang'an campus in September of 2013. The new campus provides student apartments with four bedrooms, four balconies, two bathrooms and a living room, usually accommodating two students in each bedroom. The apartment is fully equipped with facilities like air-conditioner, wooden chair & table, safe and water heater for shower. 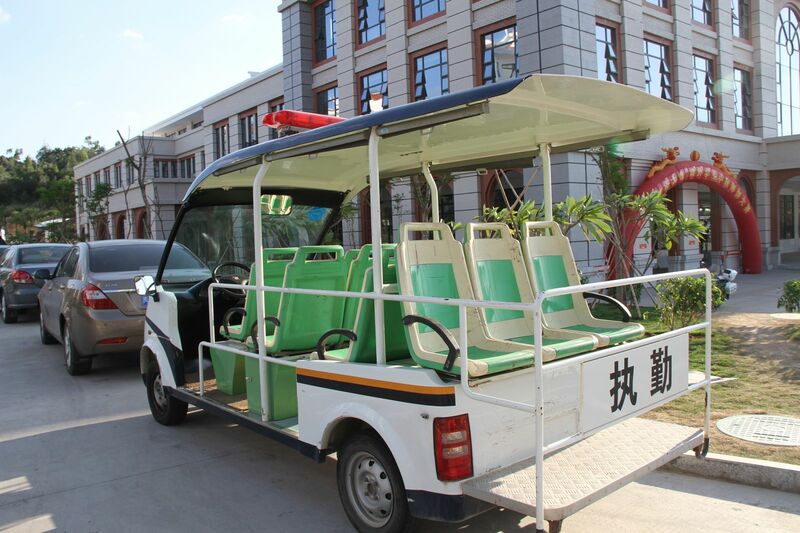 Students can apply for the internet access from the office of China telecom or China mobile on campus, costing 40RMB per month. The passage is cleaned regularly and there are security guards 24 hours at the gate. 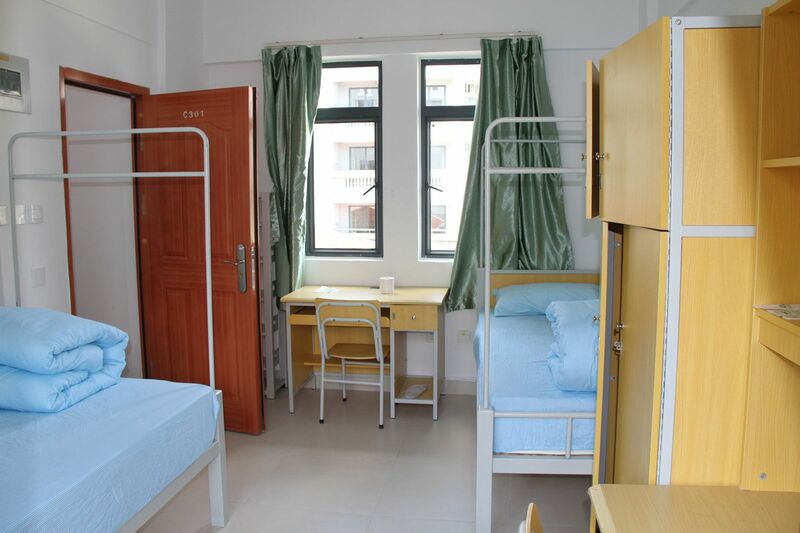 Student dormitory (Guoguang 1-7 bldg. 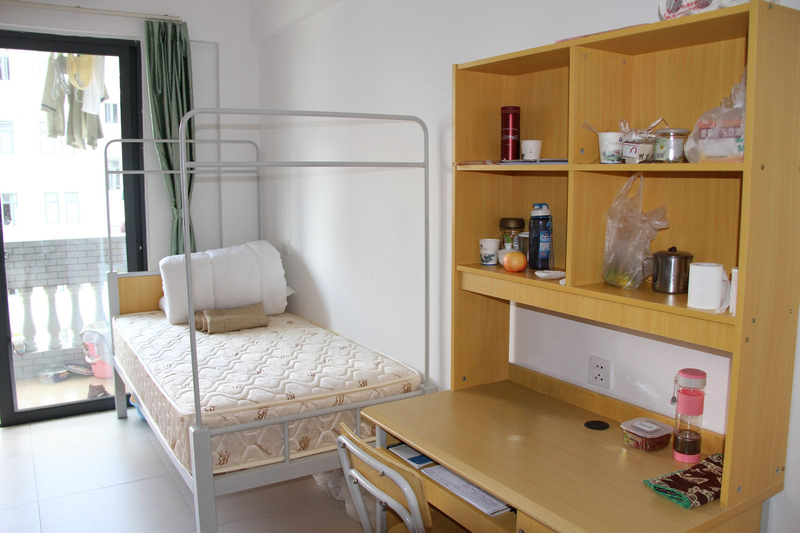 ): The rent for a place in the dormitory is only 2000RMB per year plus 1000RMB for deposit, not including the fees for water, electricity and management. Students need to buy/bring their own bedclothes and clean their bedrooms, the living room and the bathroom. It is no need to reserve for it since students can check in at the dormitory with student ID/admissions letter after finishing registration procedures. Those early arrivers should take care of their accommodation before the semester starts. Postal address of the dormitory (e.g. ): Room 303-3, Guoguang 3 bldg., Student dormitory Area II, Xiang'an campus of Xiamen University, Xiamen, Fujian province, China 361102.